But the judge said there were other factors that needed to be considered, specifically Linklater’s young age, a lack of evidence suggesting premeditation, and the difficult circumstances that shaped Linklater’s formative years. 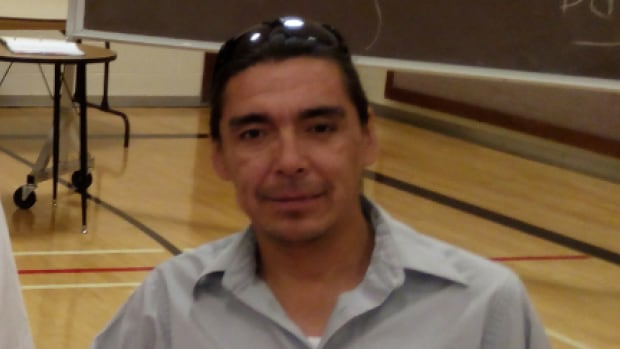 “It appears that Mr. Linklater’s unfortunate family environment has helped to shape what he has become,” Dewar said Monday during his decision on Linklater’s parole eligibility. After Linklater was found guilty by a jury in December, Dewar handed down a life sentence with eligibility for parole after 12 years — closer to the defence’s suggestion of 10 years than the Crown’s recommendation of 20 years. Dewar said details of Linklater’s upbringing — which included apprehension by child and family services, long-term substance abuse issues, a Grade 11 education level, significant trauma and ADHD — helped lower his period of parole ineligibility to 12 years from a maximum of 25. “Mr. Linklater had grown up in an environment marked by domestic violence, substance abuse and neglect,” Dewar said. Linklater’s criminal record — which included a home invasion where knives were used to threaten occupants, and a robbery he committed while out on interim release — was serious enough to impact his parole eligibility, the judge said. “His failure to abide by release conditions is disturbing,” Dewar said. After a night of drinking with Sanderson, the pair went back to the victim’s home. Later that night, there was a confrontation, during which Linklater killed Sanderson. “That is the only evidence which might to point to some reason why a confrontation occurred. But it by no means offers an explanation for the vicious assault,” Dewar said. “What rang loud and clear from the statements that were read is that the losses sustained by [the victim’s friends and family] were amplified by the suddenness of David Sanderson’s largely unexplained death,” he said. The jury’s recommendations offered no consensus on an appropriate parole eligibility period, Dewar said. Dewar said that meant at least seven jurors were “sufficiently appalled” by the circumstances of the murder to consider the minimum 10-year ineligibility period inadequate. “I cannot conclude that Mr. Linklater is a lost cause,” Dewar said.